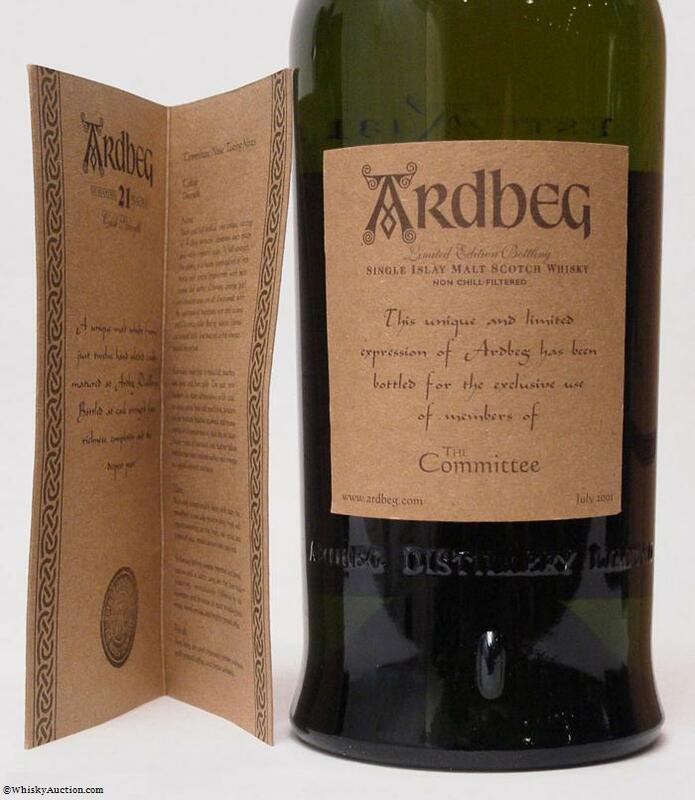 The Committee Release Ardbeg 21 was the 3rd expression offered for the Committee, but it was more factually part of the 2nd year of Committee Releases. Both Single Cask 2392 and Single Cask 2394 were part of the same Committee offering in 2000 so 'unofficially', the 21 is the 2nd release. 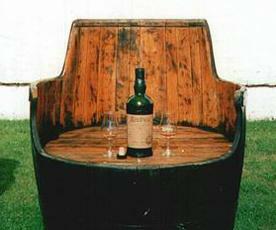 The 21 is a 'vatting' of 12 Bourbon casks from 1979 and 1980 which provided an outturn of 2500 bottles. Here are the individual cask numbers and fill dates. 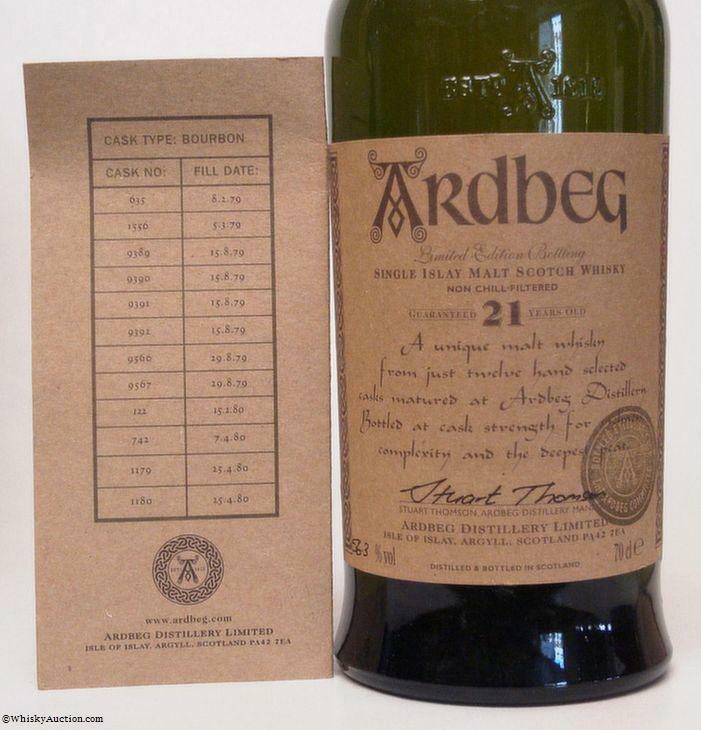 Despite the reputation earned over the years, the Committee Release Ardbeg 21 didn't sell out and was available throughout the calendar year 2001. 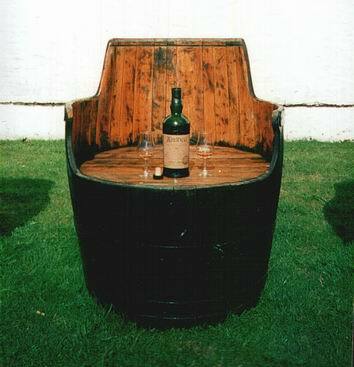 Eventually, it was discounted and available for £79 at Feis Ile 2002. 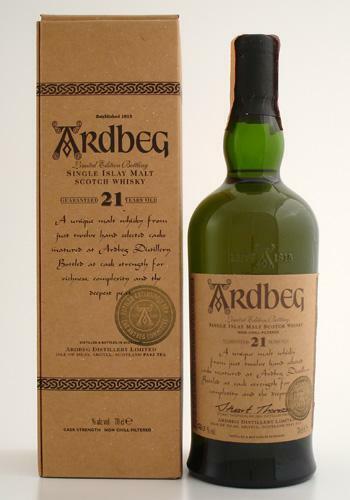 Ardbeg 21 years old is a unique malt whisky bottled from just twelve hand selected bourbon casks matured at Ardbeg Distillery. Bottled exclusively for the Ardbeg Committee, we gave all our 10,000 members the opportunity of purchasing a bottle. Bottled at 56.3% this whisky is rich & full bodied. With a nose of fruit & spice, a taste of peat smoke, apples and a salty tang we are offering the few remaining bottles exclusively here in our Old Kiln Shop. 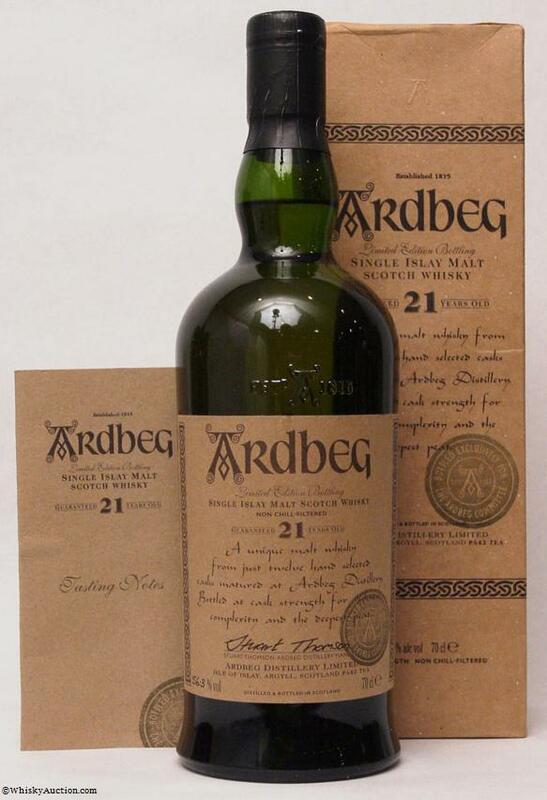 Nose - Rich and full-bodied, this unique vatting of Ardbeg perfectly combines deep peaty and richly aromatic notes. At full strength the aroma is a heady combination of rich fruits and spices interwoven with peat smoke and iodine. Cherries, orange peel and blackcurrants are all discovered; with the sweetness of marzipan, rum and raisins and Christmas cake. Boiling sweets (cloves and aniseed balls) and roasted coffee simmer beneath the surface. With water, more fruit is revealed; peaches, wine gums and fruit pulp. The peat now discloses its many dimensions with coal tar soap, syrup from old medicine bottles and the hallmark heather, seaweed and mossy aromas so characteristic of peat cut on Islay. Deeper notes of beeswax and leather follow and the marzipan noticed earlier now emerges as a gentle almond nuttiness. Taste - Rich and exceptionally deep with peat, the mouthfeel is initially mouthfilling, tingly and mouthwatering as the fruit, oak spices and layers of peat smoke caress every taste bud. In flavour, boiling sweets (menthol and cloves), apples and a salty tang set the taste buds watering; immediately followed by the enormity and dryness of peat revealing birch moss, wood smoke and freshly ground coffee. Finish - Very long, dry and intensely smoky and peaty, with ground coffee and bitter almonds. Front with Box and Insert. Front Label with Cask Notes Insert.